St. Peter Claver (1581-1654) was a servant and missionary to the newly-arrived African slaves in South America. 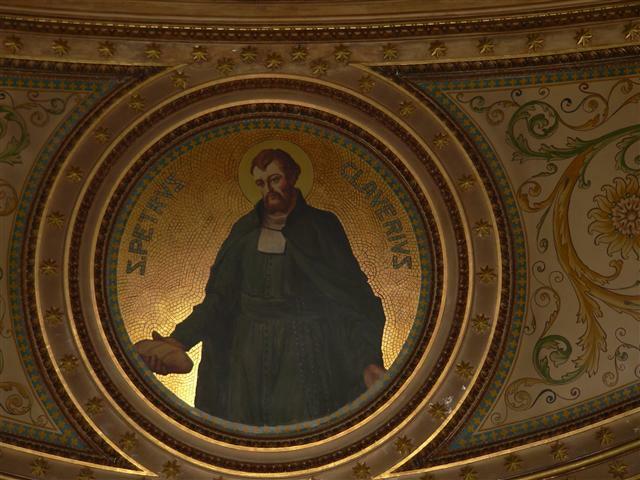 In addition to the Four Evangelists, Blessed Trinity places Peter Claver and other missionaries in a prominent position to emphasize the importance of preaching the Good News. Tuesday, September 9 at 7:30 p.m. ~ Choir Rehearsals resume in St. Charles Hall. Thursday, September 11 at 8:00 p.m. ~ Bingo will be played in St. Charles Hall. Saturday, September 13 from 10:30 a.m. to 12 Noon ~ Helping Hands Food Pantry in St. Charles Hall. Saturday, September 13 at 8:00 p.m. ~ Bingo will be played in St. Charles Hall. We now have a Bingo camera with TV monitors and electronic verification! To check the Red, White & Blue and progressive Share-the-Wealth carry over amounts and progressive numbers for this week, click HERE and visit our Facebook page. Monday, September 8 ~ The Nativity of the Blessed Virgin Mary ~ Ann Zylka’s Mass of Christian Burial at 10:00 a.m. Attention Choir Members ~ Choir rehearsals resume on Tuesday, September 9, at 7:30 p.m. in St. Charles Hall. If you have not yet picked up your detailed “Choir Rehearsal Schedule for 2014-2015” from the counter in the Priest’s Sacristy, please do so as soon as possible. Welcome Sister Flavia – It was SO nice to see and visit with Sister Flavia Dampf at Sunday Mass on September 7. Thank you, Shammy Dunnigan, for bringing her to worship with us. Bingo Volunteer Alert ~ On Thursday evening, September 11, our Bonus Ball Jackpot will be $3,479.70. A larger than usual player turnout is expected and could necessitate the opening of the downstairs cafeteria to accommodate the overflow. Obviously, additional workers are needed to staff both floors. Bingo is the largest source of parish operating funds and an important form of stewardship. If you’ve ever thought about helping, NOW IS THE TIME. Fran Cahill will be happy to assist you in joining the team. You can leave your name and contact information for Fran by clicking HERE, or call the parish office (833-0301) and Fran will contact you. Even if you can only give two hours on a Thursday or Saturday, volunteering on a regularly scheduled basis can be extremely helpful. Please consider a gift of time to your parish family. Parish Council meetings resume on Wednesday, September 17, at 7:00 p.m. in St. Charles Hall. Family Promise ~ Many thanks to BT volunteers Naoma Allen, Amy Johnson and Judy Casassa who prepared and shared a delicious spaghetti dinner with two families in the Family Promise Program at SS. Columba-Brigid parish on August 23rd. Family Promise (formerly the Interfaith Hospitality Network) provides emergency shelter, meals and other short-term assistance to local families who are temporarily homeless. Ss. Columba-Brigid is a host site for our area, and Blessed Trinity helps out with meals and related support during the week the families live at that location. Family Promise is a national organization, and a number of churches locally act as hosts or supporting congregations for the program. It’s all about keeping entire families together while they work toward having a home to call their own. If you could spare a little time every few months and help provide a meal to a homeless family, we’d love to have you on our BT team. Please click HERE to leave your contact information for Naoma Allen or Amy Johnson. They will be happy to answer your questions and provide more detailed information. Save the date! 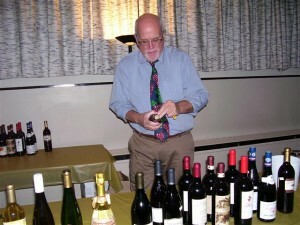 October 24 Wine Tasting, 7-9 p.m. Blessed Trinity School Alumni ~ Each fall, alumni and friends of Blessed Trinity School return for a Memorial Mass honoring deceased alumni and faculty of the parish grammar school which served families of the community from 1908 through 1975. Following the Mass, the Alumni Committee hosts a reception in St. Charles Hall. If you or someone you know attended Blessed Trinity School, please encourage them to join us for worship at 10:00 a.m. on Sunday, September 28. You can read more about this annual event and the work of the Alumni Committee by clicking HERE. October Events ~ Blessed Trinity will be hosting two special events in the month of October. The 2014-15 Trinity Concert Series opens on Sunday, October 5, with the vocalizations of tenor Robert Zimmerman, a Buffalo native, and his wife, soprano Amy Lynn Grable. And on Friday, October 24, the always popular Wine Tasting hosted by Hertel Parker Liquor returns. Please save these dates and view our Upcoming Events posts for more information. 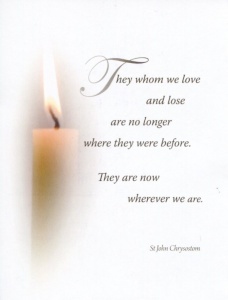 Diocesan Celebration of Milestone Wedding Anniversaries ~ Couples celebrating their fiftieth, sixtieth or seventieth wedding anniversaries during 2014 will be honored on Sunday, November 16, at 3:00 p.m. Mass at St. Joseph Cathedral followed by a reception at the Adam’s Mark Hotel. Family members are invited. If you have celebrated or will be celebrating one of these significant wedding anniversaries during 2014 and would like to participate in this event, please call Sister Barbara (833-0301). Thank you. High School Information ~ Area Catholic High Schools are beginning to send information regarding their fall events such as: Scholarship and Entrance Exams, Preparatory Courses for these exams, Open House, Shadow Days, etc. We will have this material available to you on the table in the vestibule near the front entrance. Highland Park Neighborhood Vision Revealed ~ A note of appreciation for all who attended the August 25th community meeting at which LP Ciminelli, the developer of the former Central Park Plaza, unveiled its vision for the 27-acre brownfield to be known as Highland Park. You can read more about it HERE. Do You Want to Take a Bible Study That Is More Challenging? Our program may be just what you are looking for. Our restructured program will begin the week of September 15, 2014 at the following locations: Monday Evenings, 7-9 p.m. – St Mary of the Lake, 4737 Lake Shore Road, Hamburg 14275; Tuesday Evenings, 7-9 p.m. – Newman Center, University at Buffalo, 495 Skinnersville Rd, Amherst 14228; Wednesday Evenings, 6-8 p.m. – St. Michael, 651 Washington St., Buffalo 14203 (Originally planned for St. Joseph Cathedral). Contact our office for more details at Catholic Biblical Studies Program, 716 871-9180 ~ info [at] cbstudies [dot] org ~ www.cbstudies.org. Unpack the Mysteries of the Book of Revelation! Join us for our 2014-2015 Jeff Cavins Catholic DVD Bible Study: “Revelation: The Kingdom Yet to Come,” at Our Lady of Pompeii Ministry Center, 129 Laverack Ave. Lancaster, NY, beginning Tuesday, September 23, at 6:30 p.m. and continuing twice a month on Tuesdays. For more information or to register call Sister Joyce at 716-683-6522, Ext. 103. Operation Walk USA ~ Kenmore Mercy Hospital is seeking applicants for Operation Walk USA, a national program that will provide a needy patient without insurance with a free joint replacement surgery in December. It provides all aspects of treatment – surgery, hospitalization, and pre- and post-operative care – at no cost to participating patients. Interested patients should call 716-447-6102 to see if they qualify.